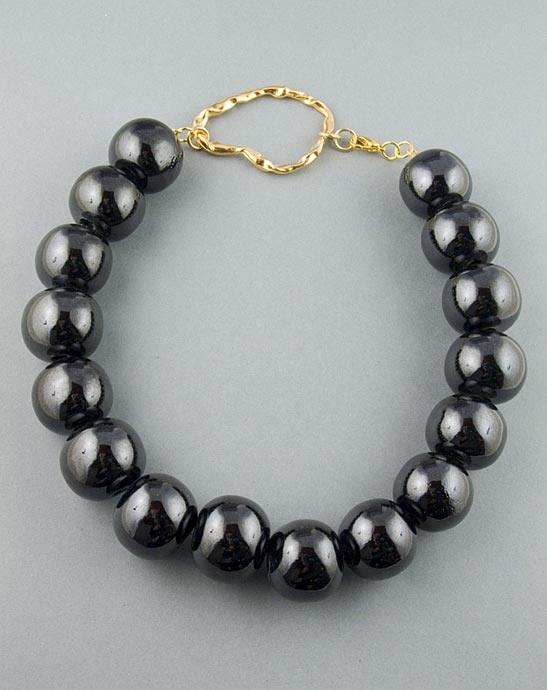 Black iridescent beads necklace by Paula Rosellini. This unique necklace features 26mm ceramic beads finished in high gloss. Necklace measures 50cm/19.6" in length and fastens with a lobster clasp at a unique organic shape.